that may mean missing out on important omega 3 fatty acids. Low mercury fish are a healthy addition to a pre-pregnancy, pregnancy and post-pregnancy menu plan simply because fish is packed with DHA and other healthy nutrients. But, what is it about DHA that makes it so important during pregnancy? 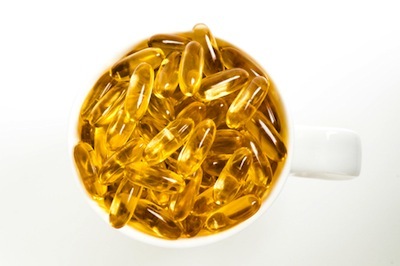 Taking pregnancy out of the equation all together, DHA is part of the balancing act known as the omega 3/omega 6 ratio. According to a study published by the Center for Genetics, the ratio is hovering at about 15 to 1. That means that western diets provide 15 times the omega 6 fatty acids as they do omega 3 fatty acids. This outrageous ratio can lead to increased risk of cardiovascular disease, cancer and certain types of autoimmune disorder. Eating foods rich in DHA and other omega 3 fatty acids helps bring the ratio back in balance – thus reducing the risk of health-related side effects. Pregnant women may not want to eat fish, no matter how many times the obstetricians assures them that low-mercury fish is completely safe during pregnancy, so DHA supplements are a viable alternative. We already know that DHA supplementation is important for the fetus with effects lasting years after birth, but supplementing DHA could be more important than pregnant women think. DHA supplementation during pregnancy supports brain development, visual development, birth weight and height. Here is the big question in terms of DHA and pregnancy: If DHA is found in fish and women need to consume fish sparingly during pregnancy due to mercury content, how can pregnant women consume enough DHA and what are the best sources? Some studies have tested more than 2,000 mg of DHA via supplementation with positive benefits, yet experts advise pregnant women to consume about 200 mg per day. In one study, pregnant women consumed more than the suggested amount of seafood and a positive impact on verbal development in offspring was noted. So, that 200 mg might not be enough and that means taking DHA supplements. DHA is literally brain food, but it does much more than support brain development in the fetus. DHA helps balance omega 3/omega 6 ratios and it just so happens to be healthy enough and important enough to be added to infant formulas.